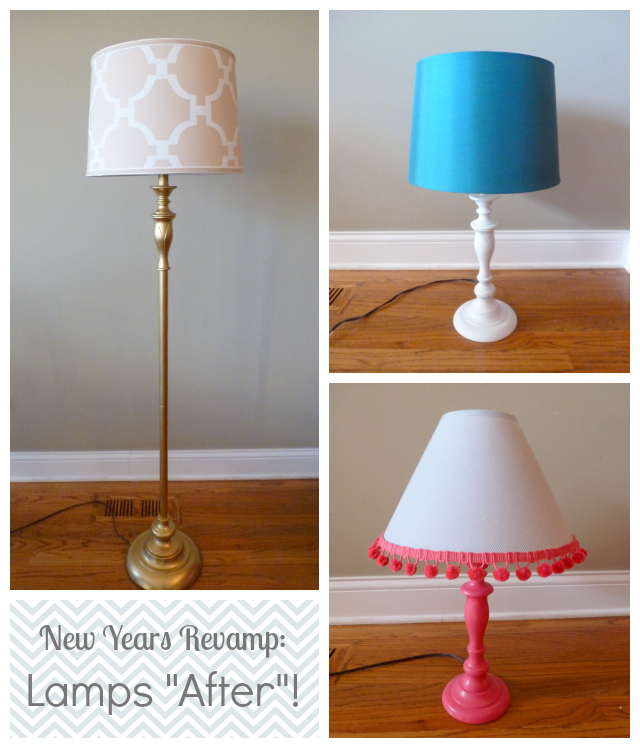 To kick off a month of New Years’ Revamp projects are a set of blah lamps I bought over a decade ago after college. They have served their purpose for many years, but I was getting awfully tired of them! What started out as cheap starter set of matching lamps now look completely different thanks to a new lamp shade and coat of paint. You couldn’t ask for an easier project. All I did was sand the base lightly and apply a couple coats of spray paint. I also found a more interesting lamp shade for each. One of them I embellished with a little pom-pom ribbon around the base! I found all the lamp shades at Target. 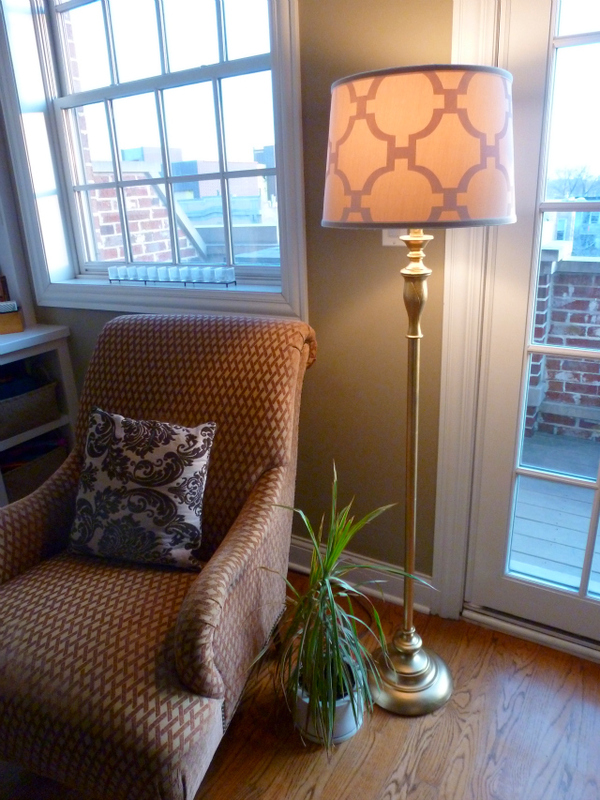 It is a great source for stylish, inexpensive shades. 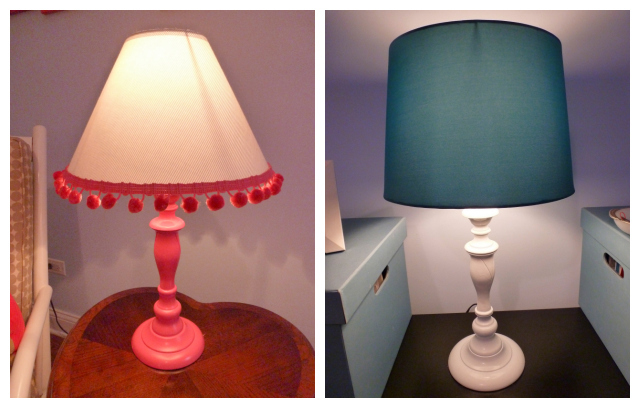 I actually did the hot pink lamp with the pom-pom shade and the white lamp with turquoise shade for Stella’s bedroom quite awhile back. You can find the step-by-step tutorial here. 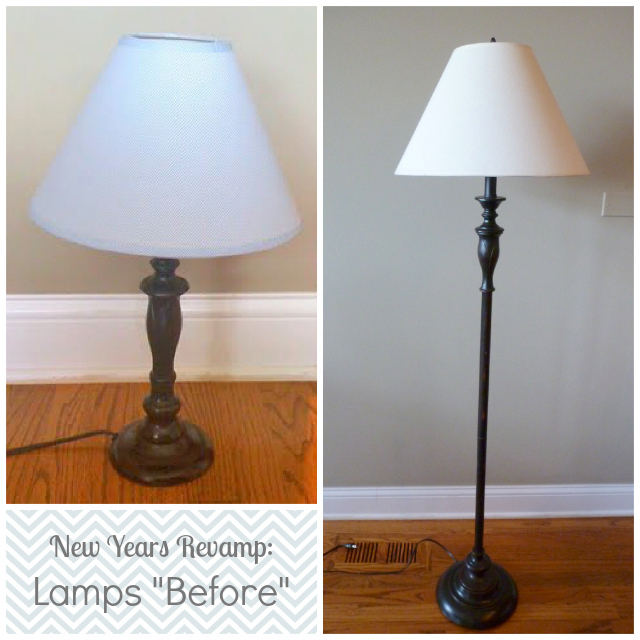 I bet you can find an old lamp sitting around your house that could use a little revamp. What would you do to give it a new life?